Since moving away from San Luis Obispo, one of my greatest struggles has been a saddening lack of eaters. Living with five incredible ladies had its perks, the most important for me being the constant presence of hungry people. Living alone, however, my creativity diminished to whatever will fit inside a Tupperware container for lunch tomorrow (yes, I’m exaggerating, I know). UNTIL….that fateful Sunday when Lisa invited me to Betty’s small group. Now I have a whole roomful of incredible ladies. We talk, we share, we read, and we eat. 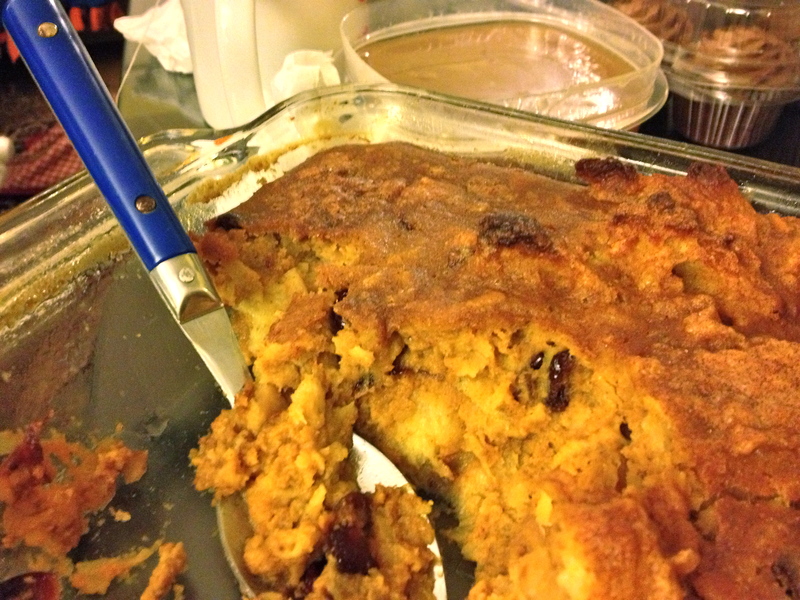 Last Monday we ate this bread pudding. Thank you, Betty, for the idea, and thank you, small group, for doing your part to eat half the pan in the course of an hour and a half. Don’t take their word for it, though! You can find this delectable, festive dessert featured on our Holiday Menu! Stay tuned, tomorrow you will see the menu, just in time for us to cater your holiday gathering. Butter an 11X7” baking dish. Preheat the oven to 350F. Combine the milk, heavy whipping cream and bread in a bowl. 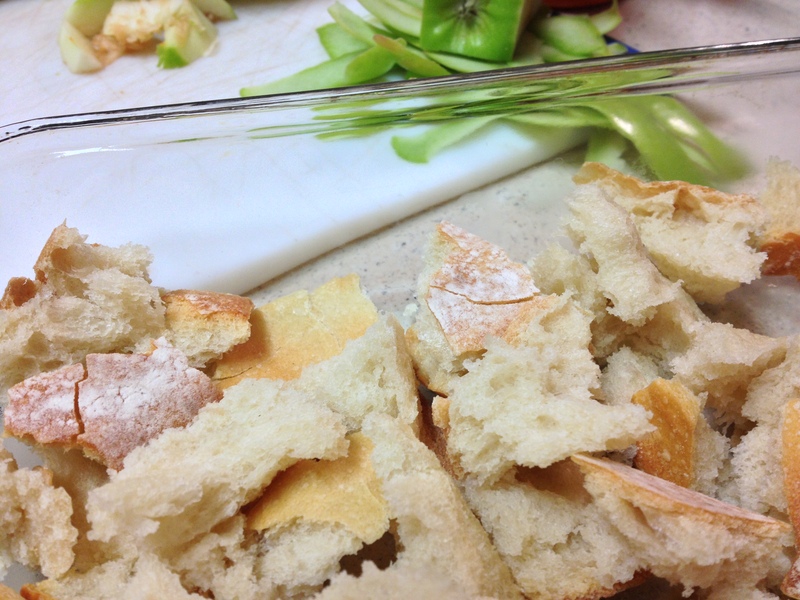 Stir to make sure all of the bread pieces are soaking in the mixture. Stir together the sugars, eggs, pumpkin, cranberries, butter, spices and vanilla (basically, everything else). Pour the pumpkin mixture into the bowl with the bread. Stir to combine. 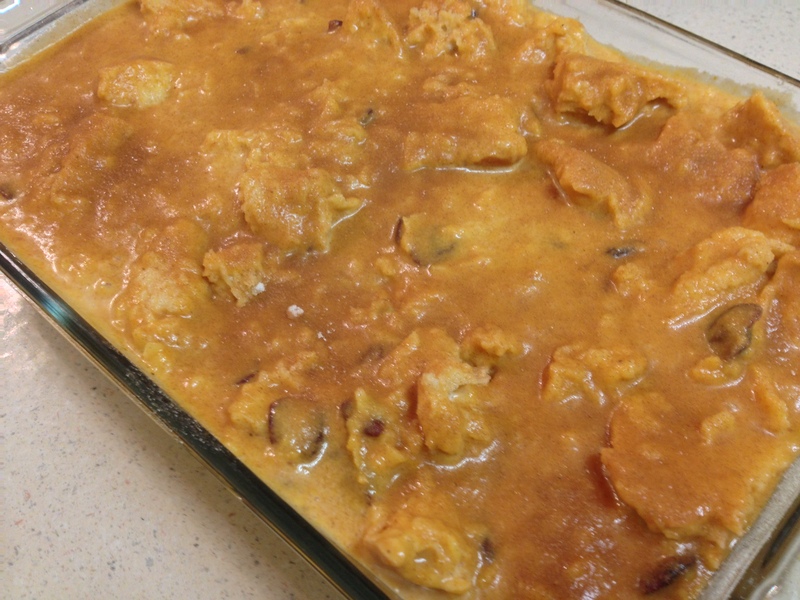 Spread the pumpkin and bread mixture into the prepared baking dish. 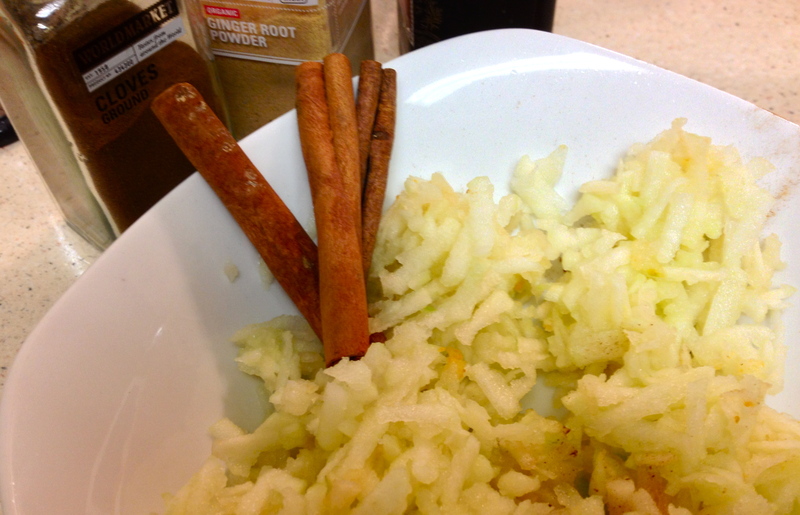 Sprinkle the top with cinnamon sugar. Bake for 45-50 minutes or until set. 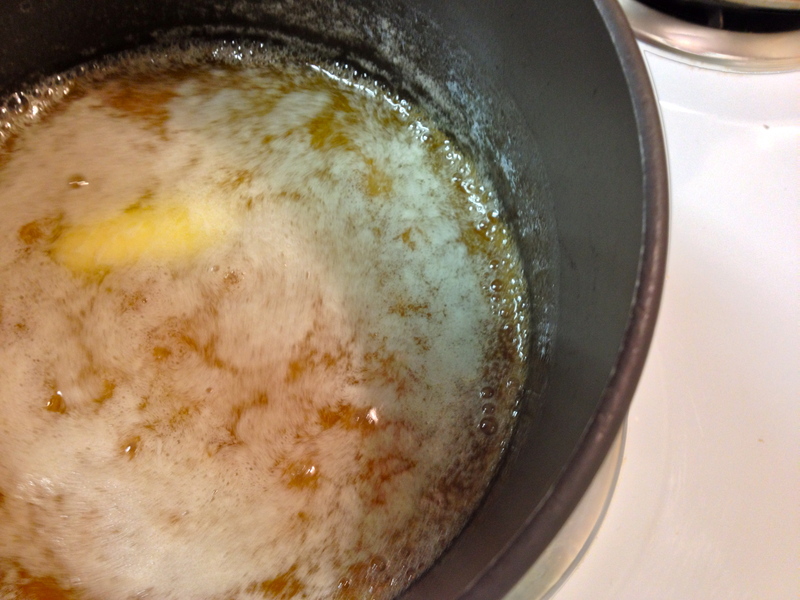 Heat the apple cider and sugar in a heavy, nonstick saucepan until the sugar dissolves. The mixture will boil, allow it to boil for 5-7 minutes or until it turns amber-colored. Swirl while it is boiling, but do not stir or scrape down the sides. The crystals that form on the side of the pot will interfere with the formation of the crystal structure you want in the caramel sauce if they fall in. Gradually add the cream and the vanilla, swirling the sauce. Simmer for another minute or so, until it looks like a really delicious caramel sauce. 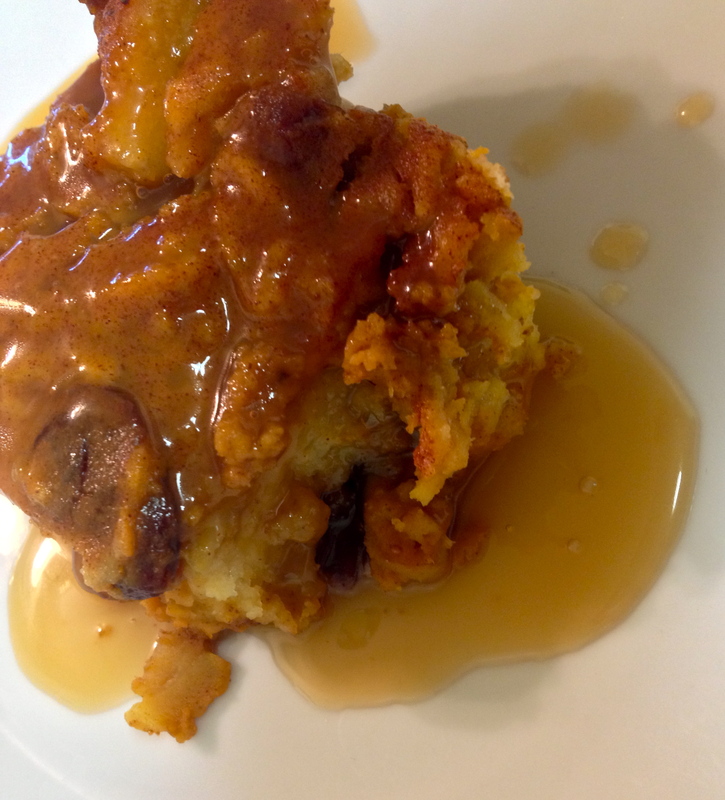 Allow the bread pudding to cool, then serve with the caramel sauce drizzled (or poured, rather), over the top. Homemade cinnamon whipped cream wouldn’t be a bad addition!